The Jewish Federation of Greater Los Angeles understands that relationships cemented around the early childhood years often set families on a Jewish journey that can last a lifetime. Jewish early childhood education is at the center of that possibility — the opening of that gateway toward lifelong relationships steeped in Jewish values, culture, and celebration. In Los Angeles, as in many communities across North America, Jewish early childhood directors are retiring, and we lack a strong career training ladder for the next generation to take their place. In response to this need, The Jewish Federation has partnered with the William Davidson Graduate School of Jewish Education of The Jewish Theological Seminary (JTS) and Hebrew Union College-Jewish Institute of Religion School of Education (HUC-JIR), who developed the nationally recognized program in 2013, to create the program here in Los Angeles. 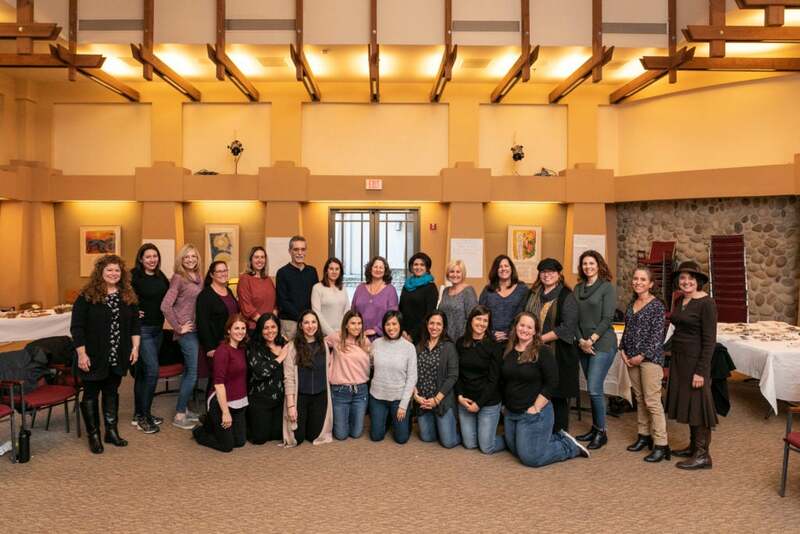 Jewish Early Childhood Education Leadership Institute-Los Angeles (JECELI-LA) is poised to enhance Jewish early childhood centers by inspiring educators who will lead with depth, confidence, and a vibrant network of colleagues. The first cohort of JECELI-LA is composed of 16 diverse fellows with impressive experience and backgrounds — participants are early childhood directors, assistant directors, and teacher leaders. The program includes five seminars based on the synergy between Jewish concepts of leadership and learning and the current research on best practices in the field. JECELI-LA Fellows are matched with a mentor who is an ongoing and inspiring resource, helping them apply their learning in valuable and impactful ways. The commitment to the vision between The Jewish Federation, HUC-JIR, and JTS contributes a depth of programming and practice to the field of working with families with young children. This model of institutional partnership shows the power of a common investment in early childhood education and ensuring the Jewish future through the vital work of our early childhood professionals. 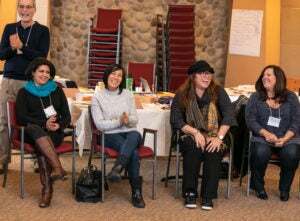 Fellows and mentors met together during the first week of February 2019 to begin JECELI-LA programming at a three-day overnight retreat at American Jewish University’s Brandeis Bardin campus in Simi Valley. The program concludes in May 2020 with an event during which JECELI-LA Fellows present the results of their action-research project: each implements a specific change that enhances the individual’s practice and moves his/her program forward. We look forward to keeping our community abreast of JECELI-LA’s progress and positive impact on Los Angeles’ vibrant and diverse Jewish early childhood landscape. JECELI-LA was created with support from the Jim Joseph Foundation.